Your next major Goal is, of course, National Marketing Director. 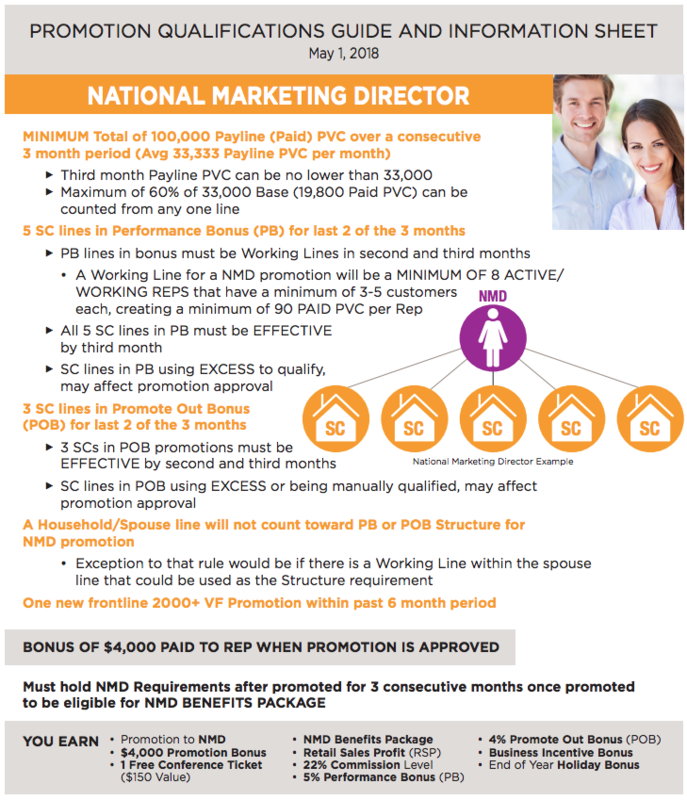 NMD Benefits to look forward to. To reach NMD you will need roughly 1,200 total team customers, 140 total team members, 33,000 monthly volume and 18+ qualifiers on your team. 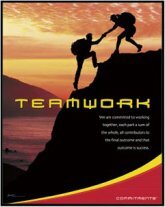 As you know, you will get to NMD by helping your team achieve their goals. As you reach for the 24 Club – one of your Team reaches the 12 Club, three more of your Team are in the 3 Club and 18-24 of your Team are qualifying their businesses – you will reach NMD! To get to QNMD you’ve developed some of the Sales Coordinator on your Team into ‘junior’ leaders, who are starting to provide leadership to their own teams. As you develop into a stronger Leader yourself, you will continue to focus on developing the Leaders on your team, and helping them reach the heights you have attained. Continue to develop a “Next Step Planning” mind set. Coaching and Connection Calls will become increasingly important in your DMO with your Team members. Lead by example: start your month with your Invitation List and teach your team to do the same. Use the 20-10-5-1 Success Formula with Intention and Invitation. This will be your source of ‘new blood’ for your team – essential. Teach the Fundamentals of our Virtual Franchise. You have been learning these as you have progressed – either consciously or by osmosis or both. Intentional teaching and coaching of these must now become part of your mission. “Keep Your Eyes On The Prize”: NMD. Your “Why” extends beyond NMD – what might it be?